Anthony Martial celebrates scoring for Man United. Email “Anthony Martial strike proves decisive as Man United secure back-to-back home wins in the Premier League”. 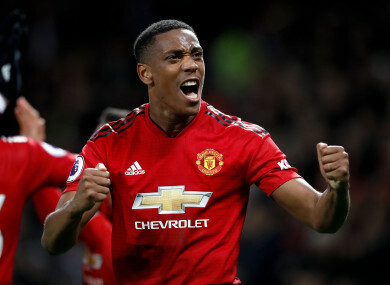 Feedback on “Anthony Martial strike proves decisive as Man United secure back-to-back home wins in the Premier League”.